One of my absolute favorite things about the holidays are getting cards from friends and family in the mail every year. Life gets crazy for everyone and the year sometimes flies by, so it’s nice to get an updated picture every year from loved ones around the holidays. Another one of my favorite things about holiday cards?! Displaying them in our home! 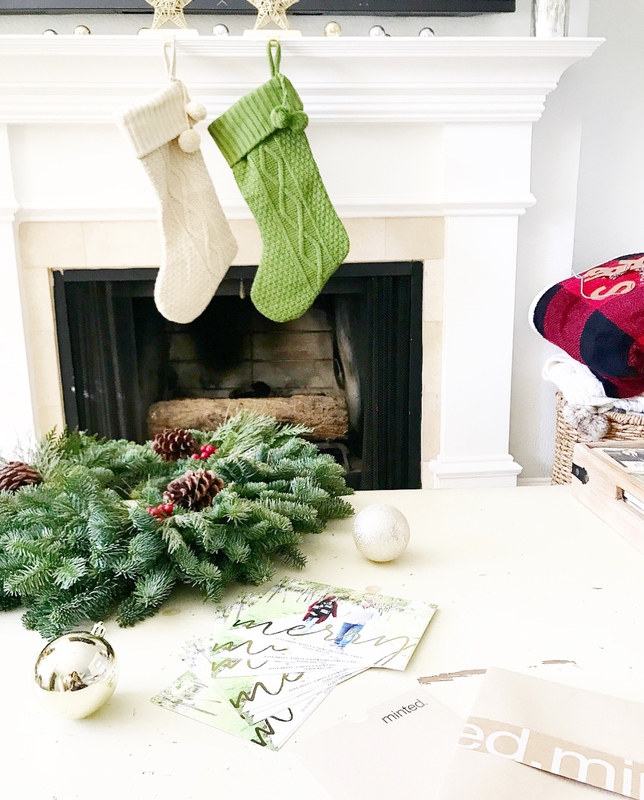 It’s so fun at the end of the year to see all of your loved ones pictures as a part of your holiday home decor! 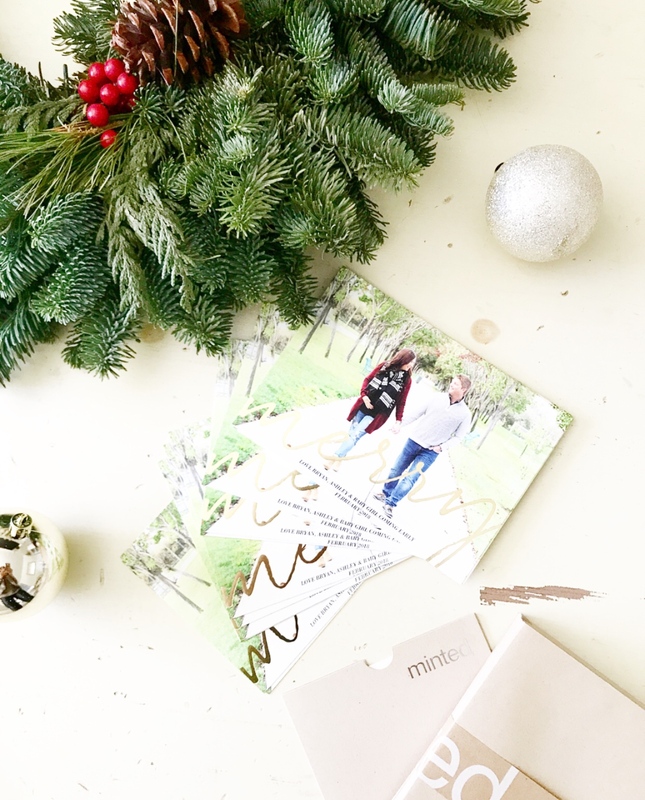 For YEARS, I’ve used Minted for all of our holiday cards, wedding announcements, baby/bridal showers, etc. They always have the best designs, customer service and make sure that every print is perfect before delivery. You can customize the cards exactly how you want them, whether you want one photo or a collage of five, the design is really up to you. Another amazing thing about Minted, is that if you send them your address book, they will address all of your envelopes so you don’t have to! Talk about convenient & easy! The best news?! 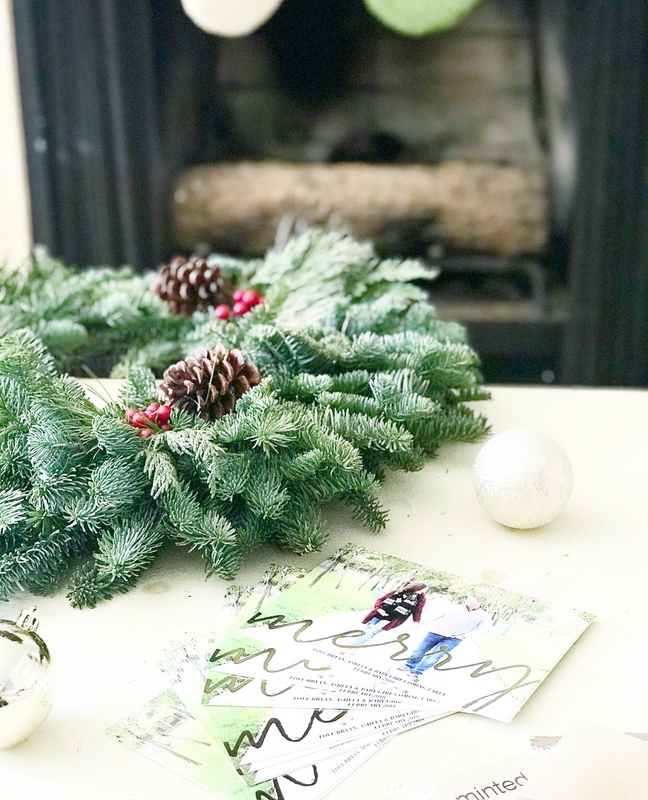 Minted is offering 20% off all holiday card orders of $150 or more with code “BRIGHT17” because it’s Green Monday! What is Green Monday?! Basically another little “made up” shopping day (like Cyber Monday) where online retailers are having major discounts because it’s the last week to shop for online gifts to get them in time for Christmas. 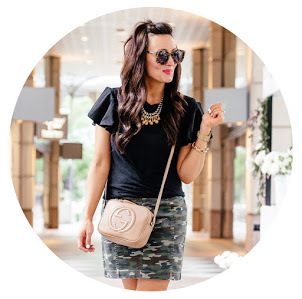 Check out the tab on the top of blog page for all the best deals today! Thanks for reading & happy shopping!